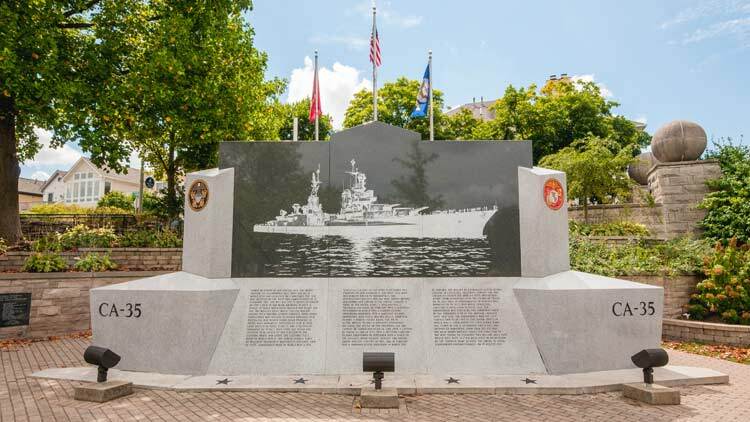 Installed on the east bank of the Central Canal in 1995, the USS Indianapolis Memorial was designed by Joseph Fischer to recognize those who died on the last U.S. ship to sink in World War II. 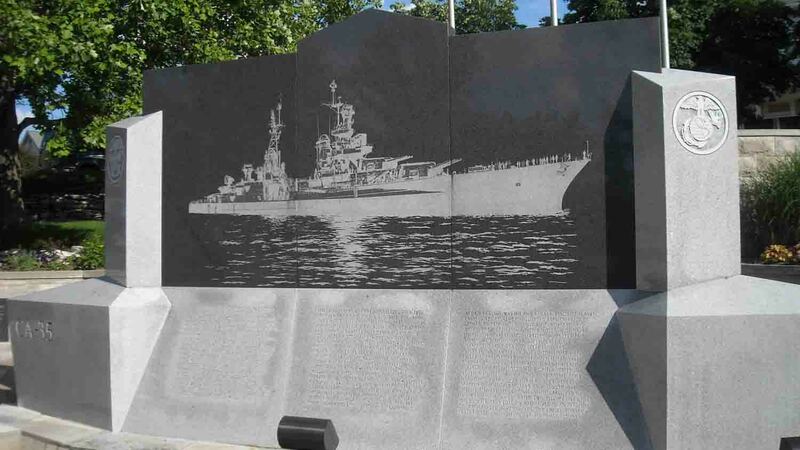 Created in the shape of the cruiser itself, the gray and black granite memorial has the story of the sinking etched on one side and, on the other, the names of all of those who served. Of the approximately 1,200 sailors that were on board, only 317 survived. 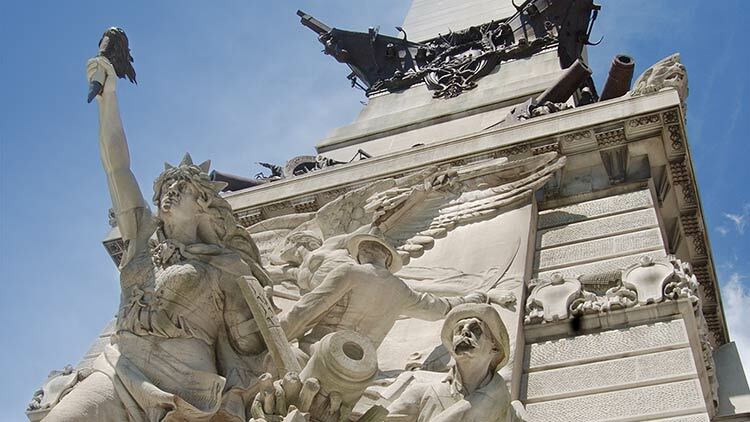 Indy is a patriotic city with more monuments and memorials than any U.S. city outside of Washington D.C.